Final performances by worldwide stars, 30th anniversary surprises, and a taste of Brazil in Europe: Rock in Rio Lisboa is set for a very special 2016 edition. With less than two weeks to go, Joana Cardoso from the Rock in Rio team takes a look at just a few highlights, whetting our appetite for the latest instalment of a genuinely legendary festival. What do you think sets Rock in Rio apart from the crowd? "Our goal is to bring people together through music, however old or young. We are proud of what we call a "transversal event for a transversal audience" – 75% have ages between 15 and 50 years old – and our diversified lineup reflects that. Both the younger crowd and those oriented to families and the young at heart – everyone has a place here. We're also pretty determined to provide a variety of entertainment attractions, so we aim to incorporate the latest (and edgiest!) thing in every edition: this year, a musical theatre production will be opening up the Main Stage every day, and EDM music fans will have pool parties to enjoy." What should we be excited about this year? "You can expect to party, party and party! There will be some epic shows at the Main Stage; the Vodafone Stage is full of new music; the EDM Stage has a ‘summer twist’ this year, because we will have a pool area with pool parties every day (for the very first time at Rock in Rio); Rock Street is becoming an entire street dedicated to Brazil (where the festival was born) with street performances and stage shows; and the Street Dance stage is always a great place to dance! We are also ready to welcome you to a venue even more beautiful than we've had before, with lots of activities and great music! Rock City is like a big musical theme park with world-class infrastructure. We have the best stage sound you can find, the best stage light effects and one of the most secure venues – with an operation that monitors both inside and outside of the venue itself." What is going to be unique and special about this edition? "The last Lisbon edition, in 2014, marked 10 years in Portugal. This edition we want to celebrate festival’s 30 anniversary therefore we have a few surprises for our visitors. As well as huge artists that span the generations, we will have a super special, brand new show to open the main stage: Rock in Rio The Musical. Inspired by the festival’s unique story and adapted from a successful production, it will gather 25 artists on stage along with actors and dancers. During the five days of the festival, fans can expect extraordinary musical performances, with fabulous choreography and famous songs which have highlighted Rock in Rio’s history throughout three decades. On top of that, the Vodafone stage is back with some really great surprises in store. And the EDM Stage has a truly great lineup and its famous pool parties inspired by Vegas. We also have, once again, Rock Street. Visitors can take a trip to Brazil and experience, for six hours, some of music, culture and colour of Rock in Rio's home nation." 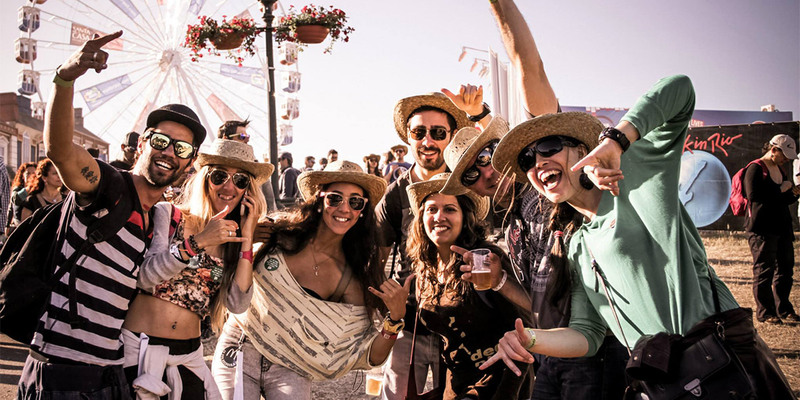 Do you think the fact that it is not always in Lisboa helps to make the festival even more special? Will it be an international crowd? "Yes, absolutely. Lisbon is one of Europe's most popular destinations, and having the opportunity to visit this amazing city and experience Rock in Rio, all in the same trip, is almost like a once in a lifetime chance. The Rock in Rio name attracts visitors from all over the world." Which performances are you most exciting about? "The question should be "which performances aren't we excited about"! It’s difficult to choose when we have such a powerful lineup, with such great names like these. Bruce Springsteen is, without a doubt, one of the most anticipated shows of this edition, alongside Queen+Adam Lambert and Maroon 5, with a special summer show. And, of course, it will be one of Avicii's last ever live shows. But the wonderfulness of Rock in Rio is that we have music for every age, every style and every taste. This means that an older crowd can be thrilled about seeing and hearing Bruce and his E Street Band, and a younger crowd can see Ariana Grande’s debut show in Portugal!" 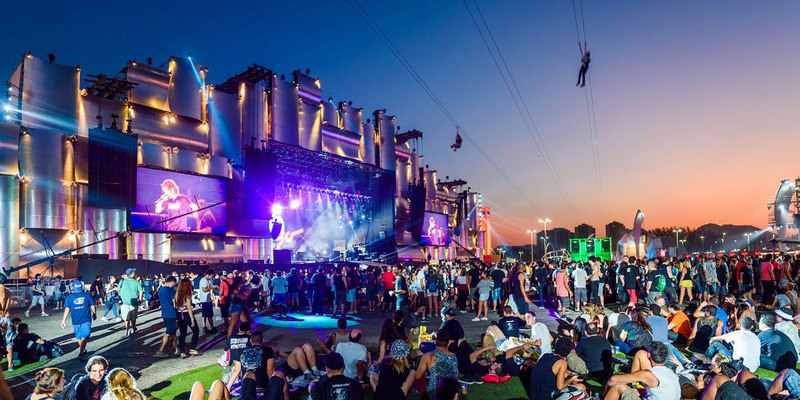 How can people get the most out of Rock in Rio? "The best thing you can do is get here early! Rock in Rio-Lisbon is much more than the shows on the different stages. We have dozens of activities during 12 hours each day, so people can get into the festival spirit in a real, ongoing party mood." Anything else we should know or hear about? "Well, to sum it all up, it's 12 hours per day of pure entertainment: five stages (Main Stage, Vodafone, EDM, Rock Street and Street Dance); pool parties; attractions such as the Ferris wheel and zip line; street performances; shops and restaurants. And besides all that, Rock in Rio has a really strong commitment towards society and the environment. This year we launched our first global social project – Amazonia Live. Through it, we're aiming to plant 3 million trees on 400 hectares of deforested area at the headwaters of Xingu River. On top of reforesting, we’re going to preserve the water and help to bolster the local economy, since the seeds will be provided by indigenous peoples of the region. And this is where everyone can be a part of this project. In order to achieve this goal, we count on everyone’s help to make a difference on a global level, which requires global action. You can participate by bidding on a guitar autographed by various artists, or by planting a tree."